This past year, Sonoma County Farm Bureau has been celebrating the past by recognizing our centennial anniversary during all of the organization's traditional events and regularly through our communication channels. There is a good chance you have recently received a postcard invitation to an event that will mark the conclusion of the year-long centennial recognition. Where has the time gone? As I sit down to share some thoughts this month, it seems in some ways that it was only yesterday, but I am beginning a third year as Executive Director for Farm Bureau here in Sonoma County, appreciative to have been welcomed into the agricultural community that for generations has been so important in contributing to the livelihood of citizens from the county. 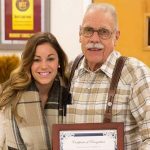 This past year, Sonoma County Farm Bureau has been celebrating the past by recognizing our centennial anniversary during all of the organization’s traditional events and regularly through our communication channels. There is a good chance you have recently received a postcard invitation to an event that will mark the conclusion of the year-long centennial recognition. On Thursday afternoon, November 9, 2017, following a brief annual meeting we will hold a reception for members and guests honoring those who have gone before, but also turning the page and looking ahead to the future of Sonoma County agriculture and the role that Farm Bureau will play in this future. It was just over a year ago that your county leaders began a process that has led to changes designed to better position Farm Bureau to serve its members. A thoughtful decision to finally move from the long time location on Piner Road that had been the home base for Farm Bureau’s work since the late 1960’s put into motion what has become a strategic and ongoing plan to grow the organization’s membership and influence in keeping agriculture a viable and major component of the fabric of the county. 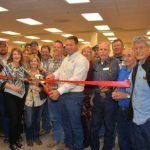 Along with the centennial recognition in November, the reception will be followed by an official ribbon-cutting and open house signifying the beginning of operations at the new home for Sonoma County Farm Bureau on Westwind Boulevard. While staff operations moved to the new location at the beginning of January the following several months have seen the new office space undergo and realize completion of necessary facility improvements, with a few more planned for a later date. This new facility has effectively doubled the space available for staff capabilities and members’ use. Expanded meeting space is in place and available in various arrangements ranging from smaller committees or groups of ten to larger conference needs of nearly 150 people. These improvements related to office space are providing a new environment to move forward into the future both physically and functionally. An assessment of organizational priorities in this process also resulted in county leadership’s commitment and focus on how to expand outreach, grow membership and influence decisions in the best interest of agriculture. Advocacy, education and communication surfaced as key areas to deliver and have resulted in the addition and realignment of staff roles and responsibilities to address these key areas. All of these steps forward would not be possible without the continuing support and involvement of members. Thank you and please remember to RSVP to join us in opening the next chapter for Sonoma County Farm Bureau.